Arrive early. This allows you time to preview items before they are sold. You will need to register for a bidder's number. You can do this by first finding the auction cashier station, you will be required to show I.D. At this time the cashier will give you a number. 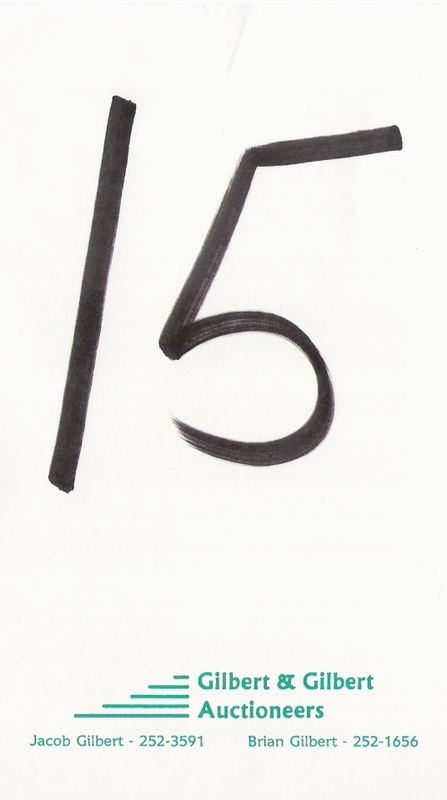 You will need this number to bid on items, and when you are ready to leave you will go back to the cashier station to pay for items you have bought. 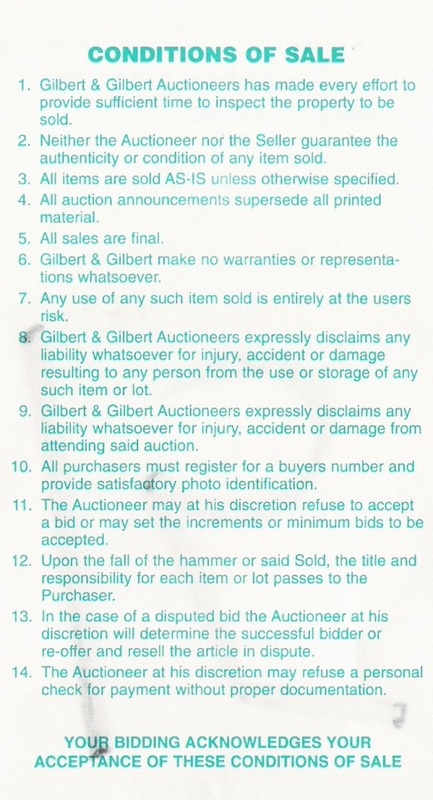 Items at auction are sold as-is without any guarantees, however the auctioneers will try to inform you of any conditions, defects, etc. that are known. You will find refreshment and bathroom facilities at most all auctions. When you bid on items and the auctioneer sells them to you, it is your responsibility to look after these items. 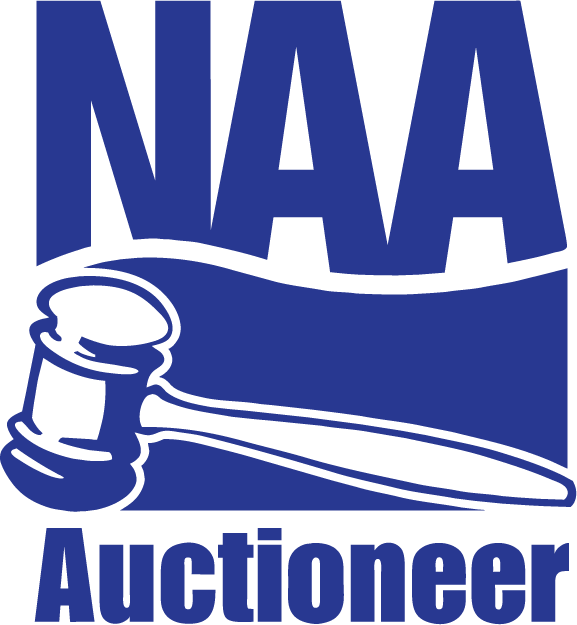 The auction may be at one location or the auctioneer may move around to sell the items. 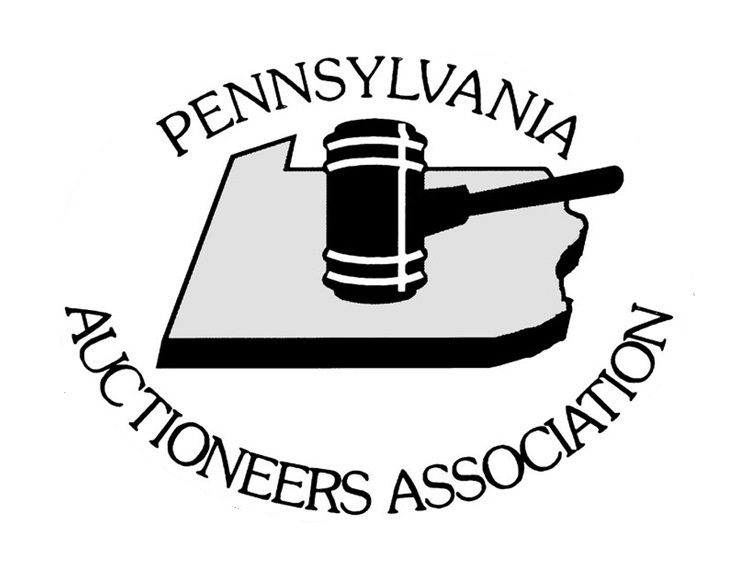 When an auction is held in a rented facility you are required to pay 6% Pennsylvania sales tax on items, unless you are a dealer buying them for resale and have a tax except number on file with the auctioneer. This is only when items are moved to a rented facility and does not pertain to items sold on the premises. Auctions are easy and fun! We go the extra distance to make sure! Plan to attend one of our fine auctions. Sample bidder card - front (left) and back (right).